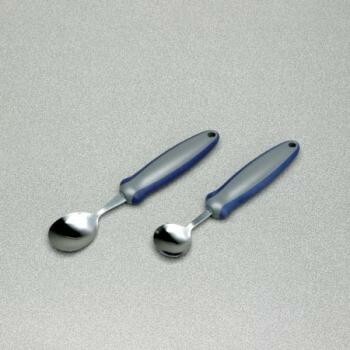 The soup spoon has a deeper, more circular bowl than a standard spoon to make holding liquid easier. Newstead Spoons...The soup spoon has a deeper, more circular bowl than a standard spoon to make holding liquid easier. The junior spoon has a slightly smaller bowl making it mores suitable for children and adolescents.Weight: 80g each.